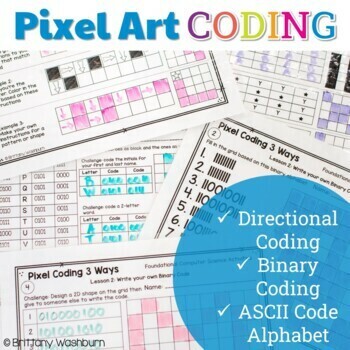 Coding Pixel art lessons and activities. 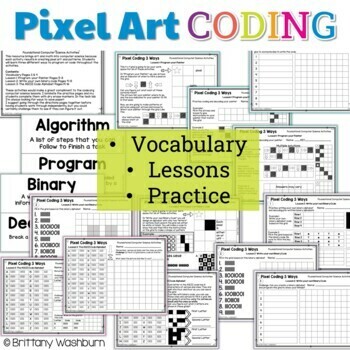 This resource brings art and math into computer science because each activity results in creating pixel art and patterns. 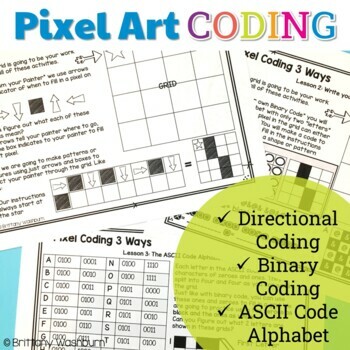 Students will learn three different ways to program or code throughout the activities. Perfect for problem solving or STEM time in the classroom. These activities would make a great compliment to the code.org computer science lessons. 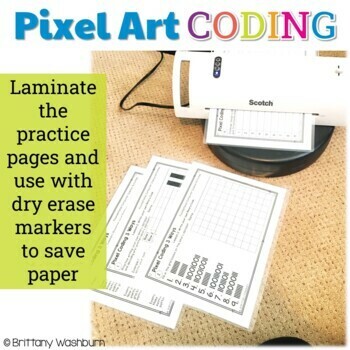 I laminate the practice pages and my students complete them with dry erase markers. In the tech lab I’m always looking for ways to save paper!